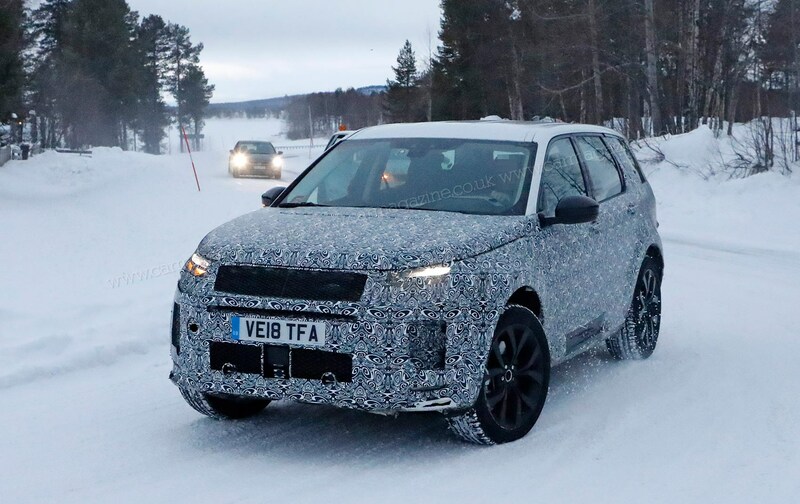 The 2019 Land Rover Discovery Sport is in line to get a similar makeover to its Range Rover Evoque sibling - bringing a dash of city-slicker Velar style to the off-roading range’s entry-level model and a host of significant tech upgrades. It’s a delicate balancing act for Land Rover, which needs to keep its two stablemates distinct. 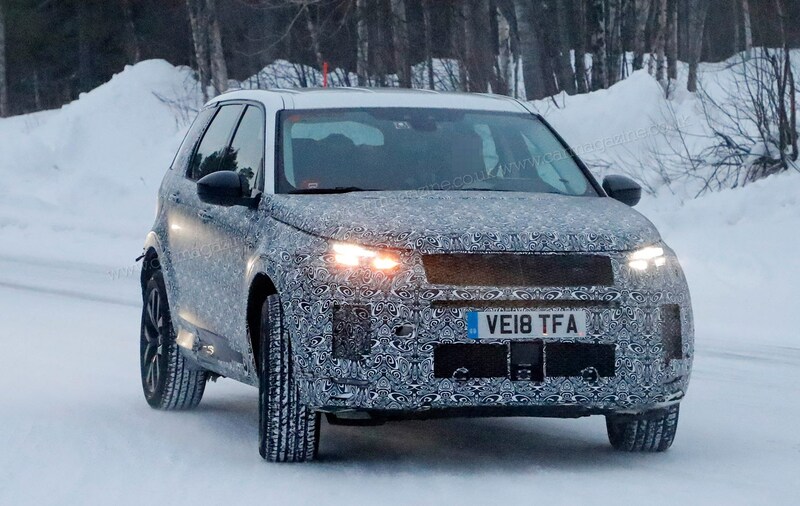 This more practical, seven-seater SUV is expected to get many of the upgrades that’ve made the new 2019 Evoque a more rounded proposition. 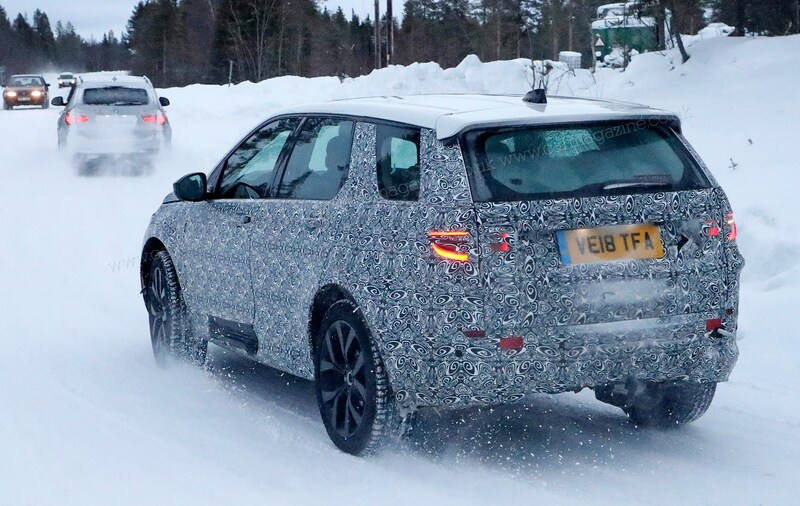 Our spies caught the 2019 Disco Sport on test in wintry northern Sweden, as engineers test the cold-weather creds of the refreshed 4x4 family. Although still lightly disguised, we can now begin to see the facelifted snout of the new model. 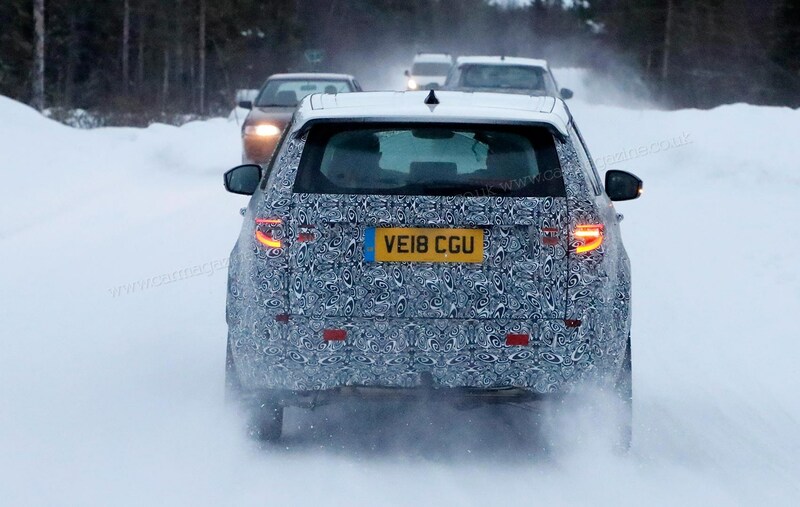 Our sources suggest the Disco Sport will get a new grille, headlamps and front bumper for a surprisingly significant new look, despite all the hard points of the design remaining unchanged. This model is the best-selling car in the range worldwide (although it's pipped by Evoque in the UK) and Land Rover is keen to keep its looks in vogue and appealing to the masses. 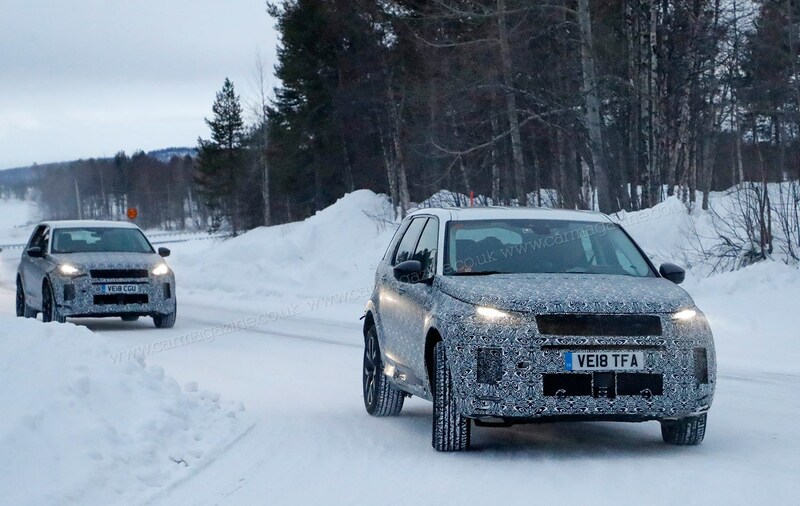 But this is no mere cosmetic upgrade: a host of technical changes will bring new engines, extra features and the first plug-in hybrid to the Land Rover marque's entry model. The updated D8 architecture brings the plug-in hybrid tech already showcased on the new 2019 Evoque. It will be positioned at the top of the Discovery Sport range, with prices to match. Those lithium-ion batteries and silent EV running don’t come cheap, you know. The 11kWh batteries are packaged below the floor and feed an 80kW motor driving the rear wheels; the PHEV model will be paired with a new, downsized 1.5-litre three-cylinder Ingenium petrol engine. Elsewhere, nearly every model will get a 48v mild hybrid system that cuts out at a standstill in urban driving, throttling fuel consumption and CO2 emissions. We’ve already driven a prototype of the stop-start system and it works well, awakening the engine swiftly when the traffic lights change to green. 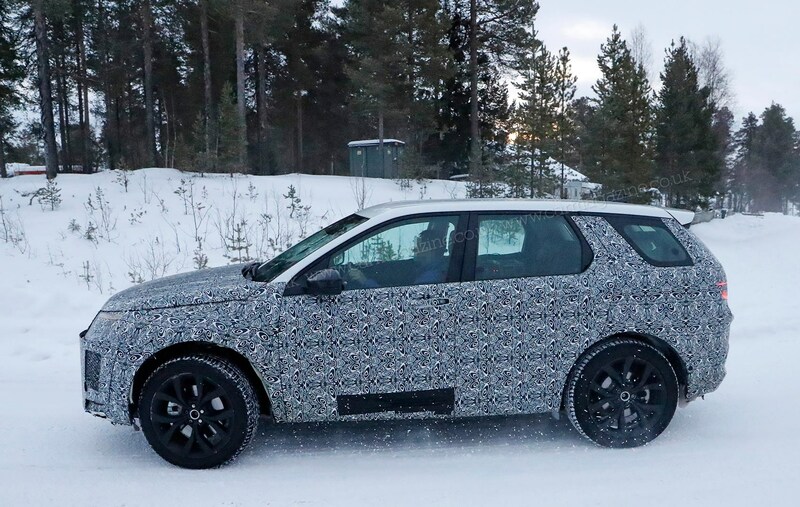 We expect to see the 2019 Disco Sport range unveiled in summer 2019, although it won’t be at the Geneva motor show, a likely launchpad for an important new car like this: Jaguar Land Rover is swerving this spring’s biggest motoring expo, as it struggles with profitability after it announced 4500 job cuts. Word is, the new car will arrive in showrooms later in summer/autumn 2019. As the Evoque starts at a whisker under £32,000, we’d expect the more functional Discovery Sport to kick off at around the £31,000 mark in the UK.